Nowadays people don’t have time to cook hence they prefer home delivered food items like pizza. In spite of the competition pizza shops have managed to get a foothold on the food service industry. Since young, old and everybody else love this delicious food product it has a universal appeal. 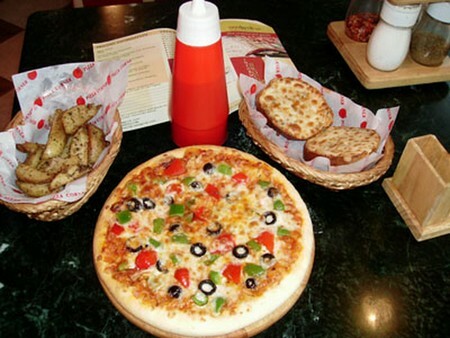 Pizza shops can be classified into three types depending on the manner they serve the food. They are quick service, midscale and upscale pizza shops. One of the main responsibilities of the pizza shop owner is to act as a host to your benefactors. Some of the duties of pizza shop owner are administrative tasks, to act in accordance with rules and regulation of local and state government, book keeping, developing menus, employee management, enhancing and promoting your pizza shop, buying food stocks and materials to prepare delicious good quality pizza. Make sure that you always buy the freshest and highest quality ingredients in order to keep edge above the competition and attract the clients by providing quality food items. You can hire an eminent pizza chef if you can’t prepare yourself. People will surely return to your pizza shop if they are pleased with your service. A top notch telecommunication system will help you and your staff to take care of the customers. First and foremost thing is to draft a business plan. The business plan will provide guidelines to follow and many of the lending institutions require your business plan before lending you money. Next select a location that is suitable for the construction of pizza shops. Find some existing pizza shops that are for sale. This is useful because you can purchase equipment from them. Find out the permits that are required to open a restaurant. Purchase tools, equipment and furniture. Based on your business plan to buy things that are necessary to run the shop. Ovens, stove, refrigerator and rolling machine are some of the important things you should buy. Name your shop. Make sure that the name is simple because if it is difficult to pronounce it will be hard for people to remember your shop. Contact local utility companies to have the utilities put into your name. Set up your pizza shop. You should determine where to place everything if you start the shop in a new building. Contact local pizza supply suppliers for prices on food and supplies. Hire employees and a delivery driver and host a grand opening.